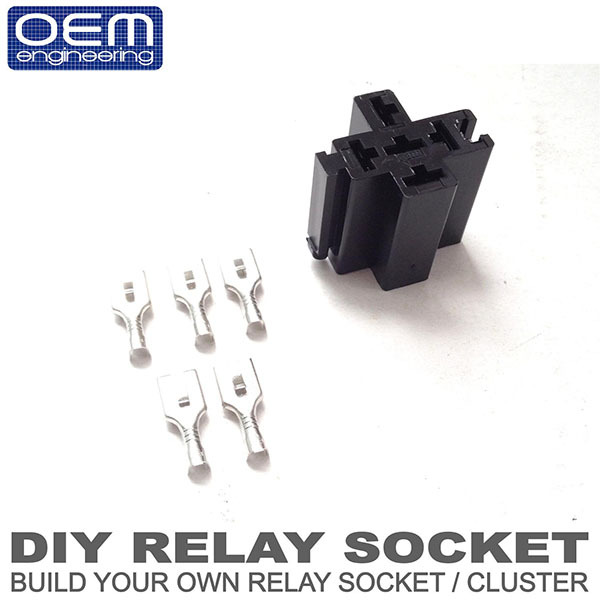 Build your own relay socket and cluster them together easily. 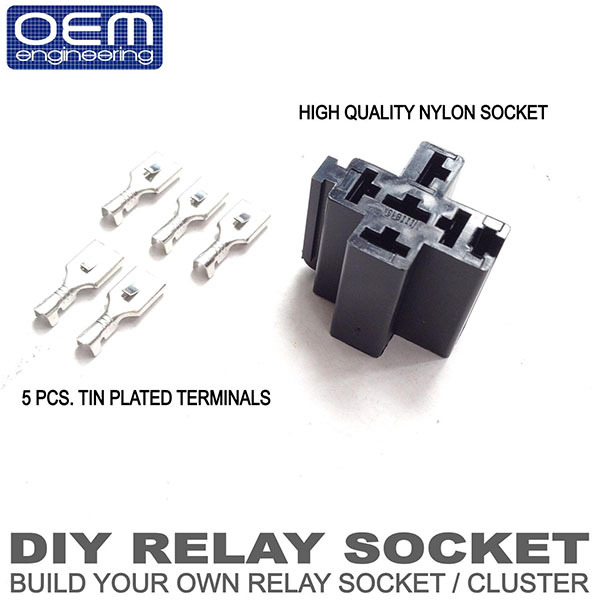 Our DIY relay sockets do not come pre-wired, thereby eliminating splices that may come loose and compromise wire contact over time. 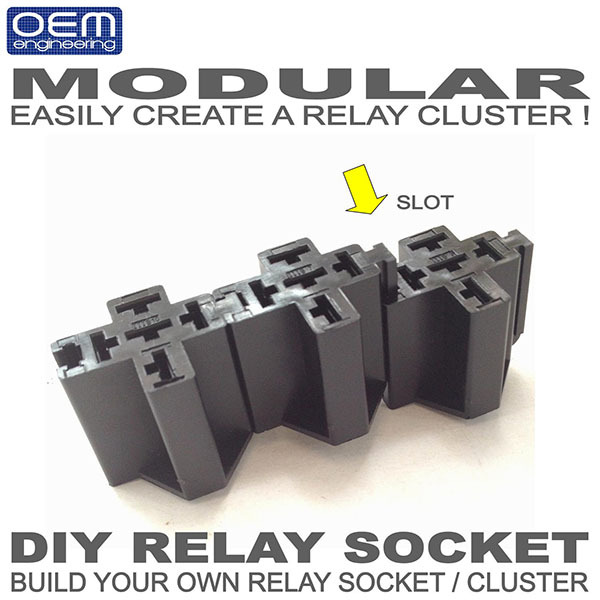 Modular design makes clustering relays together a snap. Simply slide the slots together and you�re done. 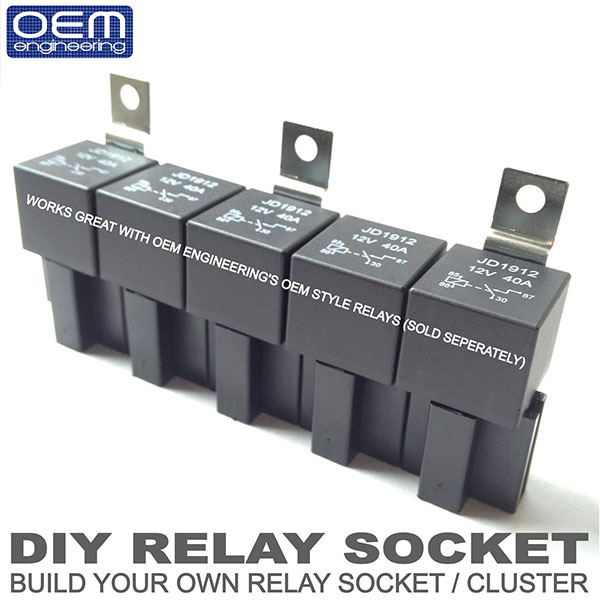 Adding more relays later on is just as easy! 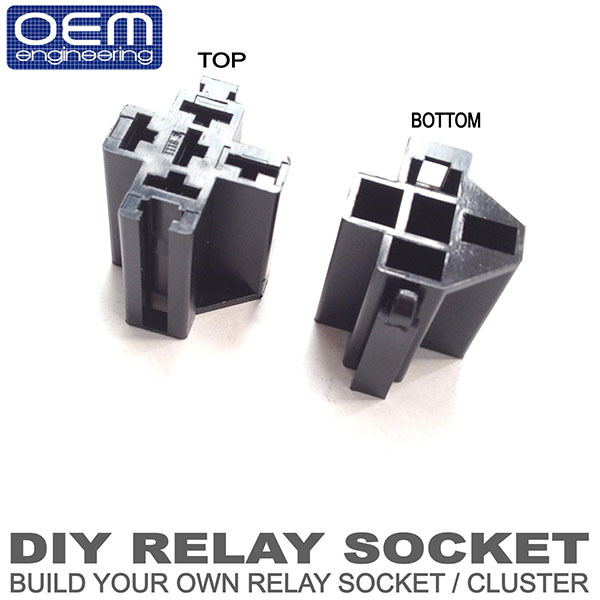 Our sockets are made of high quality nylon, making them more resistant to brittleness and cracking in the long run.